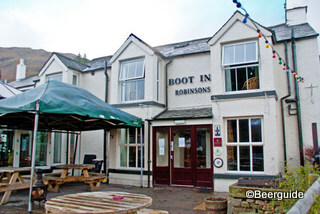 The Boot Inn is a Lakeland Inn with 9 bedrooms. The bar at the Boot Inn has a great atmosphere with it's oak beams and bar with a local green slate top. It has a real fire for winter, and for summer there is a light and airy conservatory. There are traditional board games available and a TV plus darts and pool. There is a selection of real ales plus malt whiskies. 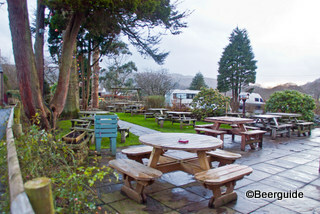 Food is served here and is home-made using local produce wherever possible. They specialise in traditional and hearty home cooking and baking. Dogs are welcome in the bar, as long as they are under control.